Clifford the Big Red Dog turns 50 (in human years) today! When I was a wee whippersnapper in torn trousers back in the early 1970s, my Junior School used to get a newsletter every month, offering bargain children's books from a selection of different publishers. My memory is a bit wooly but I'm pretty sure I ended up with quite a lot of books through this scheme (thanks mum!) and the very first was Clifford The Big Red Dog - and my copy was the very same as the one you see to the left there. 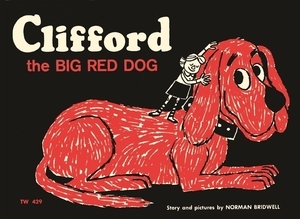 Clifford the Big Red Dog turns 50 today, it seems absolutely astonishing to think that it wasn't a 'new' book when I first read it as a kid (which would've been around 1973 / 1974 I think). Clifford still enjoys great success today. We won't speak of the rather shiny and disappointing new cartoon series that has brought Clifford to a whole new audience (with a brace of really annoying animal cohorts to play with). We can talk about the books though, and how great Norman Bridwell's original story was. 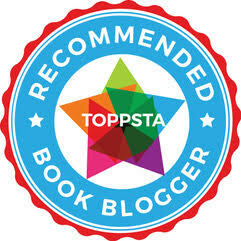 To me it had all the right ingredients for a successful children's picture book. Great illustrations, of course - but a great story, and the fantastic idea that a little girl could have a gigantic dog as a pet - and go through all the mishaps and misadventures that would accompany trying to keep a huge canine in check. So happy birthday Clifford and we look forward to still being around to celebrate your 100th!